Help Protect Land on Burt Lake and Duncan Bay! 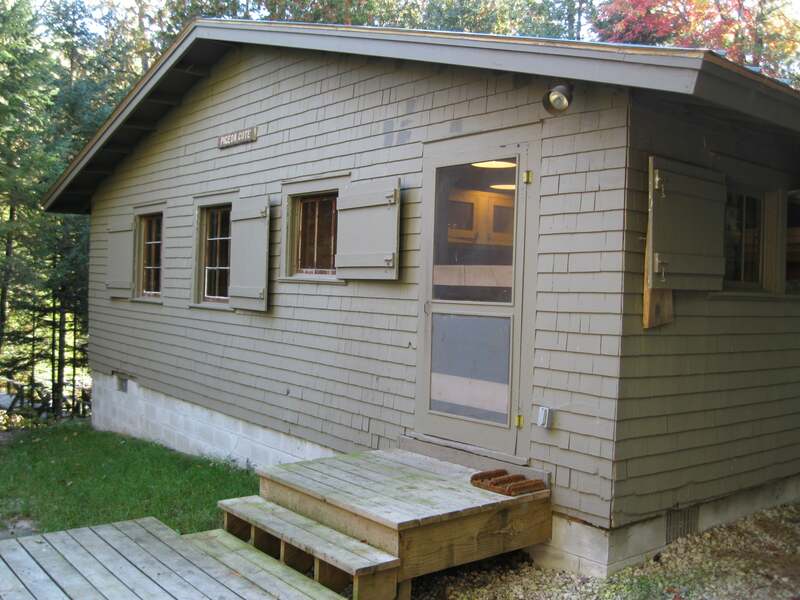 The Agnes S. Andreae Nature Preserve and Andreae Cabin are named after Agnes S. Andreae who donated the cabin and 27 acres of land to the Little Traverse Conservancy in 1983 so that the peaceful wilderness experience that it offers could be protected for future generations. Today, the size of the preserve has grown to 181 acres with 1.35 miles of frontage on the Pigeon River. The Preserve contains a cabin, a footbridge that crosses the River, and a one mile-long hiking trail. The cabin, built in 1908, measures 29′ X 24′ and has four bedrooms with 16 bunk beds, a kitchen, a large dining room, and a screened porch overlooking the river. 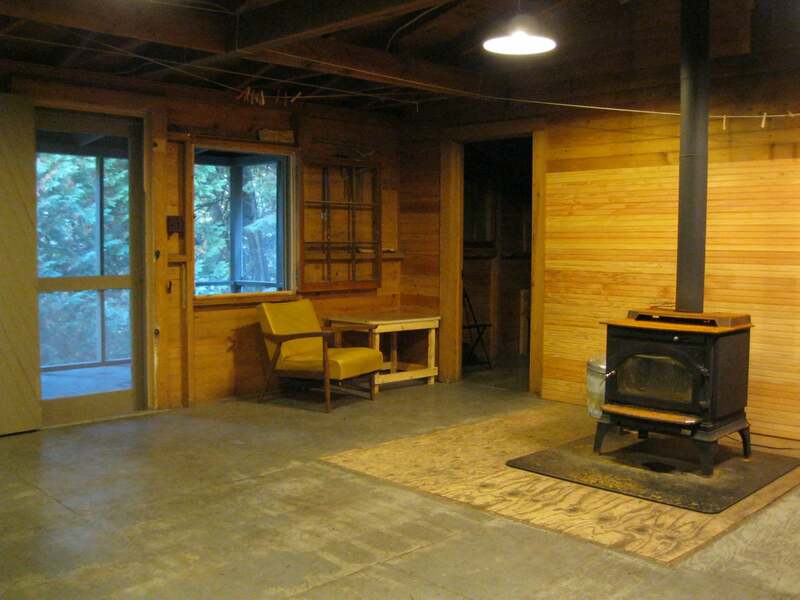 The cabin has electricity, lights, refrigerator, 4-burner cook top, microwave oven, and a wood-burning stove. There is no indoor running water. A pit toilet is located nearby. The preserve is open to the public for recreational use such as hiking, birdwatching, and fishing. Hunting is not allowed (although some LTC preserves are open to hunting). Additionally, the cabin is available for overnight use by organized community groups such as scouts, churches, school classes, and 4-H clubs. Adult supervision is required for youth groups. There is no fee for usage, however, monetary contributions to the Conservancy are gratefully accepted. 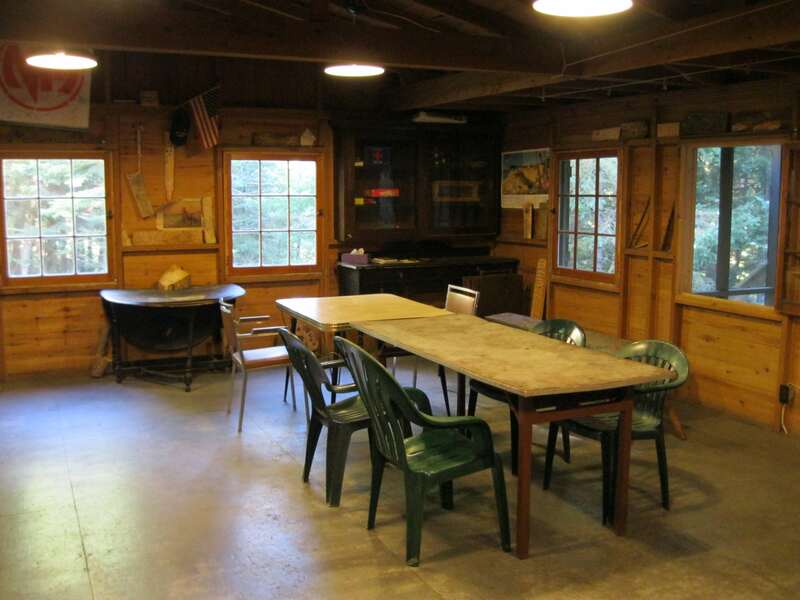 In addition, stewardship projects around the cabin or preserve are periodically needed, and cabin users are encouraged to participate (inquire about the current project list). The major habitat types found within the preserve include the river, the riparian zone (the area where forest and water meet), the mixed hardwood/conifer forests that lie on either side of the river, and jack pine forests on the uplands further away from the river’s edge. A diversity of wildlife including songbirds, game birds (grouse, turkey, woodcock, and waterfowl), raptors (hawks, eagles, and owls), deer, elk, bear, bobcat, otter, mink, coyote, fox raccoon, and a numerous other animals utilize these habitats form time-to-time. The forested lands along the river provide an important travel corridor for wildlife. The Pigeon River originates in Otsego County only a few miles from the city of Gaylord. The mainstream of the river is 42 miles long from is headwaters to its mouth at the south end of Mullett Lake, which is only three miles downstream from the Andreae Cabin. The river drops 545 feet over this length, for an average gradient of 13 feet per mile. However, the gradient is steeper in the vicinity of the Andreae Preserve, resulting in a swift current and even small rapids. On the preserve and in adjacent areas the swift-flowing river has cut down through glacial deposits creating high, steep bluffs. The watershed of the Pigeon River drains an area of about 140 square miles. Numerous tributaries throughout the watershed bring the total length of all the streams in this system to about 80 miles. About 40% of the land in the watershed and 30% of the stream frontage is in public ownership, principally in the Pigeon River Country State Forest. Little Traverse Conservancy has protected more than 13 miles of frontage on the Pigeon River and its tributaries through both nature preserves and conservation easements. The Pigeon River is a legendary trout stream. Its waters are home to steelhead (lake-run rainbow trout), brown trout, brook trout, and various other fish species. Throughout much of the year, anglers can be seen wading the stream throughout the preserve. Group size is limited to 20 (there are 16 bunks in the cabin, plus floor space in the dining area). Special permission may be granted for larger groups. All group use must be approved in advance by the Little Traverse Conservancy. Approved and confirmed user groups must pick up the key for the gate, cabin, and woodshed at the Indian River Trading Post (6153 M-68, just West of I-75 next to MacDonalds). They are open 24/7. The phone number there is 231-238-9081. Please be sure to return the key to the Trading Post when you are finished using the cabin. When you arrive at the cabin, turn on the electricity at the outside electrical switch-box. Please unplug appliances and turn off the outside electrical switch when you leave. Firewood for use in the wood stove is stored in the outside woodshed. Please do not use this wood for outside campfires (you must bring your own wood for this purpose). You’re welcome and encouraged to bring your own dry hardwood for use in the inside woodstove to supplement the limited supply. However, to prevent the spread of forest diseases, please either burn all of the wood you bring in or take leftover wood back out with you. Do not leave any of your wood behind. Please do not leave firewood in the cabin when you leave. Storing wood in the cabin can lead to insect problems. However, leaving a little dry kindling inside is fine and will probably be greatly appreciated by the next group. Campfires are allowed only in the fire ring in the yard. Do not collect live or dead wood from the preserve property for firewood or other purposes. ALL garbage and leftover food must be removed from the property. Please do not burn garbage either inside or outside, put it in the pit toilet, or dispose of it (including food scraps) outside. The kitchen sink drains to buckets beneath the sink. Please be sure to empty the buckets before they overflow by disposing of the kitchen “greywater” outside in the woods a short distance from the cabin. Groups using the cabin must use the pit toilet. Do not construct or use temporary latrines. Please respect neighbors, other preserve users, and the wildlife by refraining from excessive noise. Please do not trespass on adjoining private land. To help prevent erosion, please use only the stairway and wood-chipped path to access the river. Do not climb up or down the streambanks. Users are allowed to drive to the cabin to drop off supplies, but long-term parking out by the access gate is required. However, the access drive is steep and winding, and there is limited maneuvering room. It may be hard to get back up the hill in icy or muddy conditions. The access drive is not plowed in winter. For these reasons, cabin users are urged to park near the access gate and walk-in whenever possible. • Sleeping bags, sheets, blankets, pillows, etc. For more information about the Preserve, stewardship projects, or to report problems please contact the Little Traverse Conservancy staff. All stewardship projects must be approved in advance by the Conservancy.